China will build a new coastal highway for Liberia as part of its aid to the country recovering from an Ebola epidemic, Liberia’s foreign minister said on Sunday. He was speaking at a news conference with China’s Foreign Minister Wang Yi who is visiting Liberia, Guinea and Sierra Leone, the countries hardest hit by the epidemic. Liberia’s existing coastal route is vital for commerce as the country rebuilds after a civil war that ended in 2003. It connects the capital to the border with Ivory Coast via the port city of Buchanan, where exports of exports of iron and timber pass through, but much of the road is unpaved. “China has agreed to help Liberia with the construction of a ministerial complex which will host about 10 ministries. Also, China will construct a coastal highway,” Liberia’s Augustine Kpehe Ngafuan said. China would use its global fund for Africa to finance the project and seek partners, he said. The construction of the ministries had already been announced. Wang did not directly refer to the highway but said Ngafuan had explained the specific components of China’s aid. “China is open to cooperation in all areas and we know that Liberia is attracting investments from all countries around the world. We know about the historic ties between Liberia and USA but China has its own strength,” Wang said. “Our relations with Liberia have enjoyed fast growth,” he said. Liberia was founded by freed American slaves and has retained close ties with the United States. Ebola has killed more than 4,800 people in Liberia and almost 11,300 people in the three countries since the outbreak began in December 2013 but the number of new cases has fallen to close to zero in recent weeks. China, Africa’s biggest trading partner, has sent hundreds of medical workers to Africa and contributed aid of more than $120 million to the anti-Ebola effort, after initially facing criticism for not doing enough. Many big companies in China have invested in Africa, tapping the continent’s rich vein of resources to fuel the Asian giant’s economic growth over the past couple of decades. via China to build highway for Liberia as part of Ebola recovery aid | Reuters. According to an analysis released Wednesday by Greenpeace East Asia, China’s air is not as awful as it used to be. Among 189 cities examined by the environmental nonprofit, PM2.5 levels in the first half of 2015 were down an average of 16% compared to the same period last year. Only 18 cities saw their levels of PM2.5 increase. Health experts say that small particles such as PM2.5 are particularly worrisome for human health, given their ability to creep deep into the lungs and aggravate heart or lung disease. “I think this is the first time I’ve seen a massive reduction on PM2.5 concentrations at a national level,” said Dong Liansai, Greenpeace East Asia energy and climate campaigner. In recent years, the frequent grey pall and onset of periodic “airpocalyses” have helped discourage tourism to Beijing and have spurred expats and locals alike to leave for more oxygen-rich environments. In the country’s notoriously smoggy capital, residents have seen PM2.5 levels drop by 15.5%, with levels of sulfur dioxide – which can contribute to respiratory problems — experiencing a still more precipitous drop of 42.6%, the group said. The capital has been making a concerted push to clean up its skies, closing or relocating 185 firms in the first half of this year, according to the Beijing government. Since last July, the city has also shuttered three of its four coal-fired power plants. Mr. Dong said the bump in clean air doesn’t appear to be just a blip. He credited more aggressive government standards on emissions and efforts to shutter its dirtiest factories. He also cited the government’s 2013 air pollution control plan, which mandates that by 2017, certain regions must reduce their PM2.5 levels by as much as 25% compared to 2012 levels. Compared with the rest of the world, the Middle Kingdom’s air still ranks as wretched: the average PM2.5 level in the 385 cities ranked by the group was 53.8 µg/m3, more than five times the World Health Organization’s recommended annual mean. To keep skies blue-hued for events such as last November’s APEC summit, the city periodically shuts down nearby factories and orders cars off the streets. Such a strategy has in the past paid health dividends for residents. 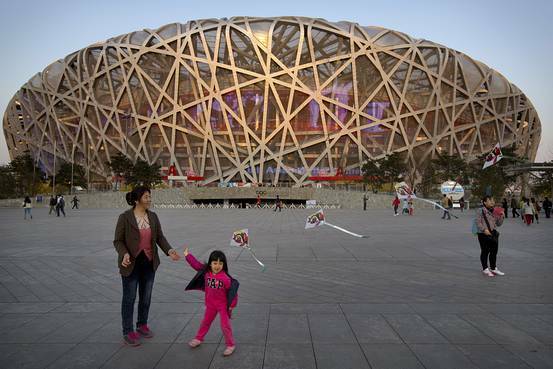 A recent study found that women pregnant during the 2008 Beijing Olympics—when the Chinese government worked aggressively to keep air pollution down for a seven-week period—gave birth to heavier, and presumably healthier, babies. via Kind of Blue: China’s Air Pollution Not as Terrible as Before – China Real Time Report – WSJ. A team of three Chinese medical workers arrived in Sierra Leone’s capital Freetown on late Tuesday to help the country fight against the deadliest-ever Ebola virus which has claimed over 1,000 lives in west African countries. The first batch of three medical workers arrived in Guinea on Monday and another three medical staff are expected to carry out anti-Ebola work in Liberia soon, medical sources told Xinhua. China announced on Sunday it would send three expert teams and medical supplies to Guinea, Liberia and Sierra Leone to assist in the prevention and control of the Ebola virus, with each medical team composed of one epidemiologist and two specialists in disinfection and protection. China announced on Sunday that it would provide relief worth 30 million yuan (4.9 million U.S. dollars) to the three countries. It was the second round of Ebola relief from China so far. via Chinese medical workers arrive in Sierra Leone’s Freetown to battle Ebola – Xinhua | English.news.cn. The Chinese government announced on Thursday it will provide 30 million yuan ($4.86 million) in humanitarian aid to four Ebola-ravaged countries in West Africa to help contain the outbreak. The Ebola virus has been blamed for at least 932 deaths in four western African countries－Guinea, Liberia, Nigeria and Sierra Leone－with 1,711 reported cases, according to The Associated Press. China’s National Health and Family Planning Commission said on Thursday that no Ebola cases have been reported in China. Song Shuli, the commission’s spokeswoman, said a series of preventive measures have been taken to stop the virus from entering the country. 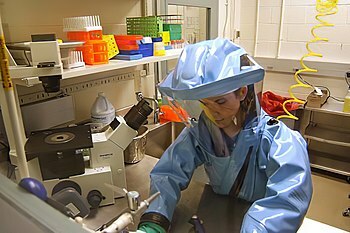 The commission said it is communicating with the World Health Organization to better monitor and anticipate the spread of the virus. It has also ordered border control authorities to intensify their checks of inbound travelers, Song said at a news conference on Thursday. She dismissed an online rumor that a person in Shanghai died of Ebola virus. She also said “the possibility of the virus coming to China remains slim right now” in response to news reports in late July of a Hong Kong woman who showed symptoms suggestive of the Ebola virus after a visit to Kenya. She later tested negative for the disease. Local medical institutions must report any confirmed or suspected Ebola cases directly to the commission within two hours, said Song, who added that the public should learn more about the disease to protect themselves. via Nation to donate $4.9 million for Ebola assistance – China – Chinadaily.com.cn.